When it comes to the health and happiness of your smile, you deserve to experience exceptional results without an exceptional price tag. Here in Owings Mills, Dr. Mattson and her team are dedicated to providing patients with comfort, kindness, and a wide variety of comprehensive treatment options. 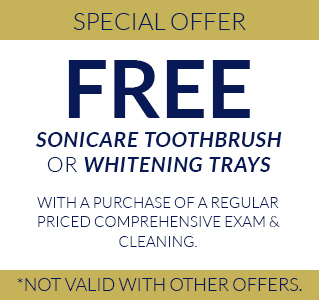 Whether you’re in need of an in-depth patient exam, transformative restorative care designed to erase damage and decay, or even last-minute emergency care, you’ll be sure to enjoy the quality results we can create for you and your oral health. Contact us today to schedule your first appointment! Are you ready to experience quality results? Dr. Mattson isn’t interested in providing patients with quick fixes – she takes pride in creating high-quality results that look great, feel great, and last for a long time. You’ll be amazed by what you see in the mirror! Running all over town to several different offices can be a hassle. Instead, you can make Diamond Dental of Owings Mills your one-stop shop for a wide range services, resulting in a truly streamlined and relaxing dental care experience. We’ll even see emergency cases. Trying to work a dental appointment into a busy schedule is difficult, especially when appointment times are already so limited at many offices. Here at Diamond Dental of Owings Mills, we want to offer you some much-needed flexibility. Dr. Mattson is happy to offer early mornings, evenings, and even some Saturdays to patients for their appointments. All you have to do is call us, and we’ll be happy to schedule a time that’s most convenient for your schedule. We look forward to seeing you! 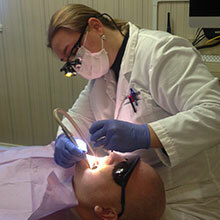 Nobody should have to forgo vital dental care because of payment. Here in Owings Mills, we offer patients a wide variety of financial options so they can be sure to find one that works best for their unique situation. Dental insurance, discount plans, financing through CareCredit, and other methods are welcome at our office. Please contact us today to learn more! We’ll be happy to explain any information and help you decide on a plan of action that helps you smile brighter.